The Senior DSP Engineer will develop and integrate cutting edge capabilities into Signals Intelligence (SIGINT) platforms and products, and will be a critical resource for conceiving, developing, testing, and deploying mission critical capabilities for our customers. Daily activities typically include development of detection, demodulation and processing algorithms for wireless signals; development of knowledge base of signal types and characteristics to support processing efforts; and implementation of algorithms for production collection systems. Offices for this opportunity are in Austin, TX. For those outside of the Austin area, relocation assistance may be considered on a case by case basis. - Regularly employs ingenuity and creativity to develop new technical solutions to solve difficult and moderately complex problems. - Subject matter expert (SME) in digital signal processing, wireless communication theory, and estimation/detection theory. Preference to the candidate with strong background in current wireless protocols, digital communications systems, and RF physical and MAC layer protocols. - Experience in a lab environment including use of signal generators and RF components (e.g., filters, splitters, attenuators). - Ability to evaluate technical trade-offs and to conduct an analysis of alternatives. - Self-starter with good interpersonal and written/verbal communication skills. - US Citizenship is required. - Bachelor’s Degree with a minimum of 7 years of related experience, or a Master’s Degree (highly preferred) with a minimum of 5 years of related experience. - Ability to understand and formulate mathematical, statistical, and computational models. 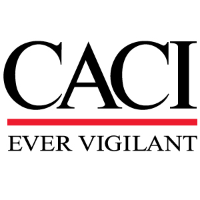 - We are mission-oriented and ever vigilant in aligning our solutions with the nation’s highest priorities.For over 55 years, the principles of CACI’s unique, character-based culture have been the driving force behind our success.